As the world looks to alternative ways of powering its transport systems, fuel ethers have a vital role to play in reducing emissions and improving hybrid engine efficiency during this transition. In 2017, worldwide sales of all-electric and plug-in hybrid cars reached more than one million units, displaying 40% annual growth since 2011. In 2015, electric cars represented 1.2% of the total new car market in the EU, while China, the world’s largest market for alternatively powered vehicles, has more than a million electric cars on its roads. However, that doesn’t mean that going completely electric hasn’t hit a few bumps in the road – the range anxiety and charging drawbacks of purely electric vehicles still haven’t been solved to the satisfaction of many motorists. And, with governments worldwide trying to reduce emissions from vehicles to reach the COP 21 Paris agreement, the most immediate practical solution for drivers lies with hybrid technology. With the benefits of low emissions and convenience, but without the charging and range drawbacks, hybrids are seen by many as the interim measure until technology catches up with demand – providing the best of both worlds. Despite all the benefits the technology brings, is your average hybrid engine doing all it can to solve the problems caused by its fossil-fuelled equivalents? Are emissions being substantially diminished? Are vehicles more efficient? Well, while hybrids produce lower emissions of carbon dioxide (CO2) than conventionally powered vehicles, they are not always as efficient as they could be. In fact, most modern petrol combustion engines are only around 20% efficient. Even the most efficient engines in the world, such as the one in Toyota’s latest Prius, is at 40% efficiency. One effective way to improve hybrid vehicles’ efficiency is to improve the compression ratio of their thermal engine, enabled by higher-octane fuels, which can be achieved through the inclusion of fuel ethers as a blending component. The addition of fuel ethers helps raise the octane rating and the oxygen levels of fuel. Higher-octane fuels used in higher compression engines prevent premature ignition, avoiding ‘knocking’. Fuels with more oxygen can burn more efficiently, as the oxygen ensures that all of the petrol is burned rather than being pushed out of the exhaust. The net effect of fuel ethers is to make petrol more efficient and reduce emissions. Research by the Massachusetts Institute of Technology (MIT) in 2014 estimated that if most drivers in the US filled their cars with 98-octane fuel, the automotive industry could reduce its carbon dioxide emissions by 35 million tonnes per year and save billions in fuel costs. In addition, the research summarised that if the US was to adopt a new standard of 93-98 octane fuel (up from the current 87-93), it would alter the way that cars are designed and manufactured, resulting in a reduced carbon footprint. “The efficiency of gasoline engines depends on the octane number, but that’s not something that’s changed in quite a while,” says Raymond Speth, a research scientist at MIT. The benefits of using fuel ethers to raise fuel octane ratings are obvious. Global octane ratings vary between 87 and 102 RON, depending on where you fill up in the world. This discrepancy is a problem for car manufacturers, who are increasingly building ‘world’ cars and engines for use across multiple continents for better economies of scale. A spokesperson for a leading auto manufacturer said that their company is “constantly looking at ways of improving the efficiency of its hybrid vehicles and has done so for the past two decades that it has offered the technology to the public. While car manufacturers have made great strides with hybrid technology, embracing and progressing the future of motoring, until more universal specifications of fuel are agreed globally, a key potential opportunity for reducing emissions will be underutilised: fuel ethers. 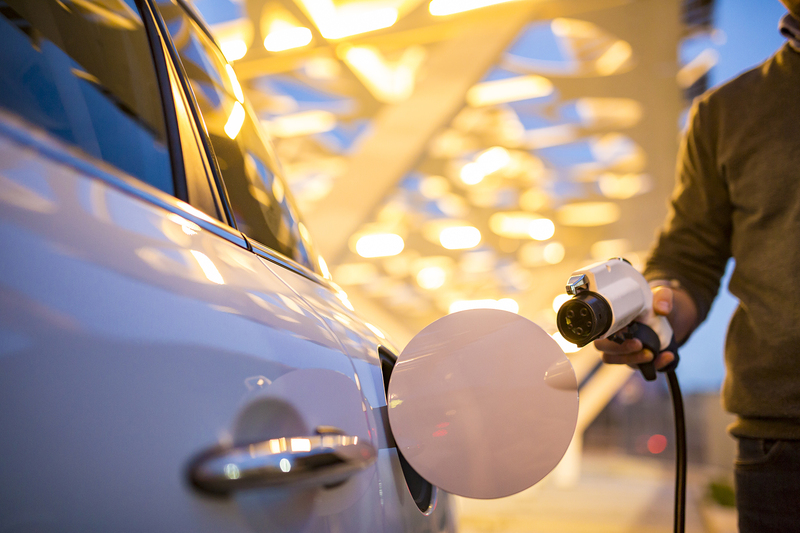 As long as vehicles continue to be at least partially powered by the combustion engine, fuel ethers used in hybrid vehicles remain one of the best possible solutions for ensuring clean and efficient transport. Furthermore, fuel ethers can complement the growth of hybrid vehicles by maximising the efficiency of their thermal engines – strengthening their decarbonisation potential and supporting the global push for a cleaner environment.